In France, canal and barge cruising is also becoming increasingly popular. On a much smaller scale again, barge cruising vessels will often only carry between 6 and 16 passengers and can even be hired privately for 2 people. They can be skippered, or self skippered. Canal and barge cruising takes you through some of the most scenic parts of France including The Dordogne Region, Burgundy and The Rhone Valleys as well as further south to the Canal du Midi, a region rich with historical castles and perfectly preserved medieval towns and exquisite mediterranean fare. Accommodation on board is very clean comfortable without being excessively luxurious or affluent. There is always a heavy emphasis on gastronomy including wholesome meals with rich local produce and a superb variety of wines specific to the area. 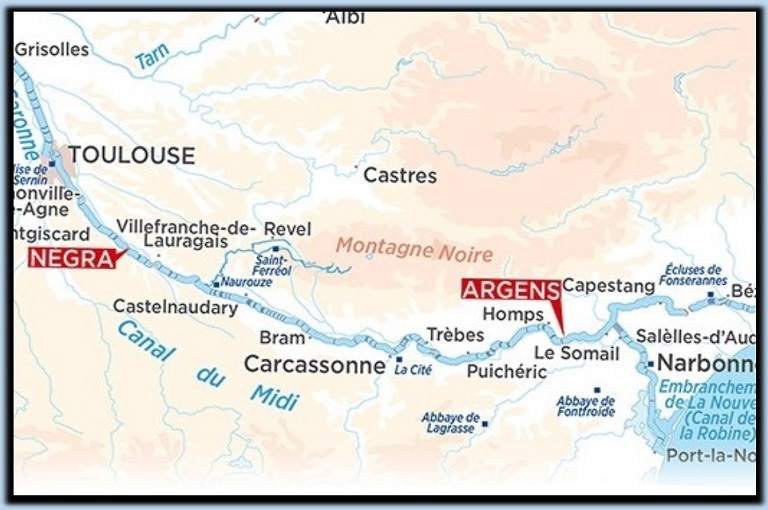 you’ll be travelling through many of the most famous wine producing areas in the world and barge cruising is the perfect way to sit back, relax and experience all that these delightful areas has to offer. What better way to see the magnificent French countryside than to drive yourself through the extensive network of waterways on a self drive. If you are confident to navigate the narrow canals and locks. Don’t worry, it’s not as hard as it sounds, and you do not need a special licence to do so ! On arrival you will be given introductory lessons and test drives and step by step instructions for passing through the locks. It is a great option for families or couples or a small group of close friends giving you independence without the inconveniences. The boats carry bikes on board so at any time you feel fit you can cycle off into the timeless French villages and surrounding countryside as you see fit. We feature a couple of select itineraries here, outlined below in the Southwest of France as well as the gastronomically rich Burgundy-Loire region. It’s an active, relaxing, sensually indulging holiday all in one ! We package it all up for you so you can fly into Paris, Lyon, Bordeaux or Toulouse, get your transfer and extra accommodation that you need and if necessary use the TGV fast rail links to get to your destination. Discover the Canal du Midi, the famous UNESCO World Heritage Site, the Etang de Thau and its fantastic oyster beds, and the heart of the Camargue, a unique wildlife wonder of France. You will travel through some exceptional cities. The area around Carcassonne, with its towers and battlements, gives a real feel of the south, with fortified towns of white stone and historic villages like Trèbes and Puicheric. Medieval villages, Roman churches (Baraigne and Cazalrenoux), abbeys (St Papoul) and isolated monasteries. This part of France gives you an authentic insight into the traditional rural lifestyle, with a glimpse of it’s history. The produce markets are a joy to wander through the stalls and wooden carts, with horses and donkeys still fulfilling their traditional roles and farmers selling their organic stocks, and patisseries showing of their cakes and other sweet delights. These elements make it one of the most popular routes for barge cruises. 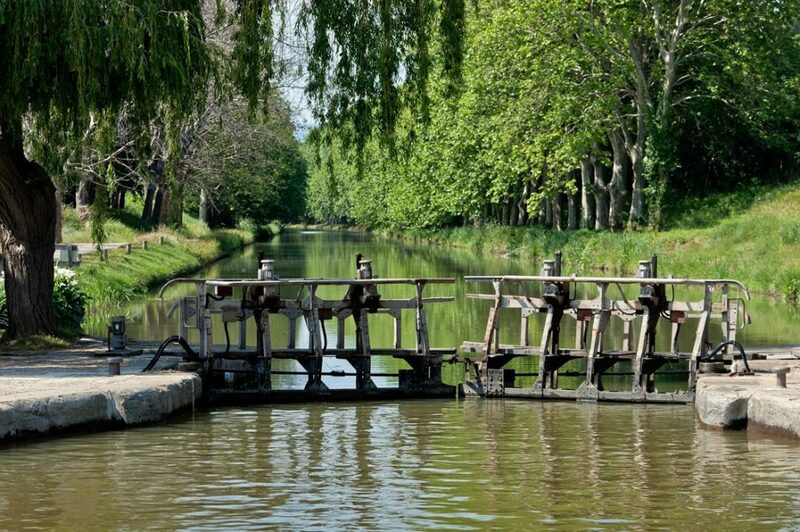 Canal Du Midi is serviced my Toulouse international airport and has convenient TGV rail links from Paris. Starting or ending in the pretty town of Narbonne, it is also easy to access from Barcelona. 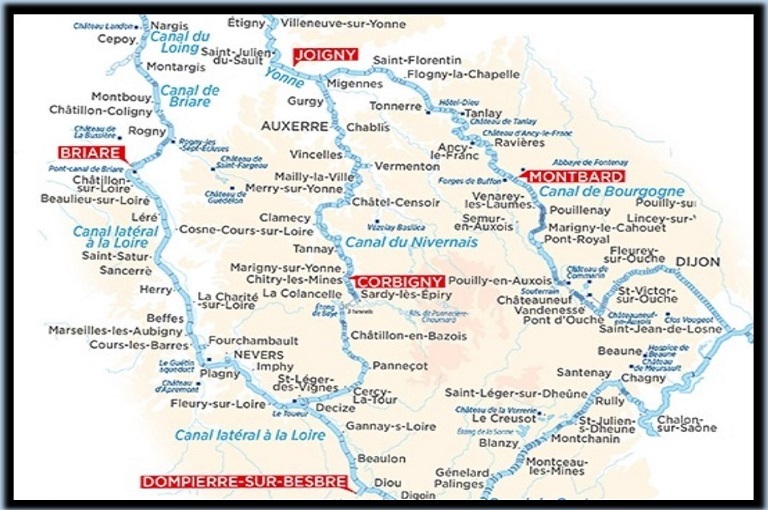 Cruise along the Lot, Baïse, Tarn or Canal de Garonne and discover towns steeped in history, such as Villeneuve-sur-Lot, Vianne, Buzet and Moissac – an incredibly rich 80 km itinerary through the lovely Lot Valley. Spectacular natural beauty goes hand-in-hand with medieval villages such as Clairac and Castelmoron. Casseneuil is a real mini Venice, with half-timbered houses overhanging the river and Pujols, ranked among the most beautiful villages in France. Bookend your trip with some time at the wineries around Bordeaux or perhaps venture south of Toulouse down to the picturesque pilgrim of Lourdes with it’s holy water fountain and its magnificent Rosary Basilica and Virgin Mary statue, set at the dramatic foothills of the Pyrenees. The Loire and the canals of western Burgundy form a superb network for boating holidays in France. Fascinating towns, such as Nevers, Sancerre, Paray-le-Monial, Roanne and Digoin, have a wealth of art and history for you to discover during your canal cruise. Don’t miss the famous Digoin and Briare aqueducts. You can centre your trip around a theme such as champagne and wine, French Royal chateaux or WWI battlefields.